The most significant advantage for being a Industrial photographer is that you follow a subject after your own heart, do lots and lots of research on graphic arts and get into this work in a pro way. Plus you get to make a profit. Corporate Industrial photography is a very moneymaking, well paid line of business. If you are very good in your job and try to meet the right businesses or get the right projects, you can finish up with a fortune. Other organizations use company photography for selling brochures to show to current or possible customers, or to give out at job interviews or at recruiting events. In these examples, the company or company should be portrayed in the best possible fashion. Many individuals know stock photographs, and they are viewed in graphic design and layout circles as dull and uninspired selections. Corporations come across as modern and forward-thinking when they use brilliant, authentic images in their promoting literature and leaflets. 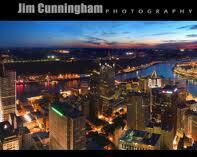 JIM CUNNINGHAM has been offering distinctive location photography to his clients for over twenty years. Being raised in Pittsburgh, PA the world of industry was all around him and by his early adulthood a healthy interest in railroads was the spark that caused him to buy his 1st camera. JIM CUNNINGHAM went on to acquire a degree in Design and Visual Communications from Southern Illinois University. He then returned to his home and commenced his career at Pittsburgh’s most significant and busiest photography studio and was promoted to staff photographer for Bechtel Corporation on a foreign assignment for Two years in Saudi. With his collected experience his studio has been serving Corporate and Industrial clientele across the United States by providing remarkable pictures of their workers, merchandise and buildings. Jim Cunningham’s work has brought him into coal mines, steel mills, railroad depots and lots of production factories as well as medical facilities and company offices throughout the US and across the planet. He has hung out from planes, Crawled around in a 38 inch coal mine and lifted up 2 hundred ft in a crane bucket to get that distinct angle of view.